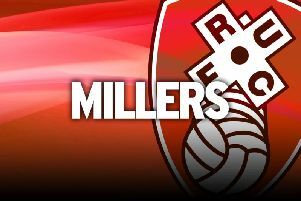 Rotherham United have completed the signing of former Sheffield Wednesday full back Joe Mattock. The 25-year-old former England U21 international was released by the Owls last month after three years with the club. Left back Mattock came through the ranks at Leicester City before joining West Bromwich Albion where he earned a reputation as a bright young player. He joined the Owls after his release from West Brom in 2012 and went on to make 66 appearances. Mattock’s move to the Millers is subject to Football League approval and will be confirmed on July 1.